Do you remember that shellacious shell pile at Blind Pass Captiva I showed you on yesterday’s post “As The Seashell Piles Turn“? If those photos of the changes in the beach knocked your socks off yesterday… hold on to your flip flops today. It’s now gone. Wiped clean. Covered with sand. Goodbye shells. Both yesterday and today, I took these photos at low tide in the morning about the same time. All these changes happened within 24 hours! But the good news is… the shells shifted to the other side of the jetty rocks. Crazy! Look at the change for yourself on this video. The hide-n-seek seashells couldn’t hide from Lauren and Jesse from Atlanta. I had to giggle at Rhonda from PA (lots of shellers from PA lately!!) sittin’ ‘n siftin’ in a wet suit while the waves brought the shells to her. It was 45 degrees this morning!!! 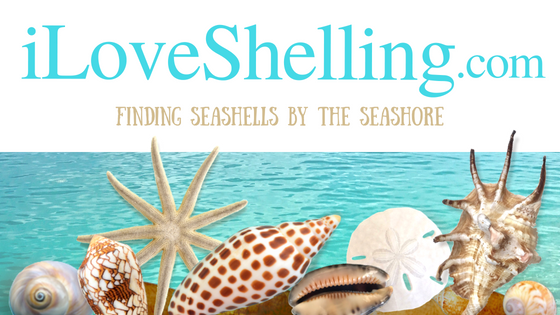 Seashells or Bust! Then I heard a voice behind me that said “Shello, Pam!” LOL It was Mike Ryan again. Remember he found that beautiful SEA FAN the other day? The shore was peppered with LADY-IN-WAITING VENUS CLAMS so he was picking them up and so was I. They aren’t uncommon to find on our beaches but it was amazing to both of us that there were thousands. I don’t know… errr… maybe hundreds… whatever, there were oooodles of them washed up. This is always a special find since we rarely find this blackish dark brown “LACIE”. I couldn’t wait to show you the changes today but check in with me again tomorrow because I’m working on the 2012 top 10 iLoveShelling days to finish out the year before we move on to 2013. Wow. Another year is about to begin. It’s gonna be a good one! If you didn’t have the pictures to prove it, you’d never believe such change occurred in such a small amount of time!! Thanks Pam! Thanks for posting all the great pictures of how the beaches changes from day today. We will be spending Easter on Sanibel Island this year. See you the end of March! Holy Cow Pam that is just crazy! I thought people would be siftin’ for days on that pile from yesterday. I love that brown lace murex. I have one about that size that I look at almost daily. The color is nothing like yours though. Wishing you good things in the new year!! Wow – that’s an amazing change in 24 hours. Have a Happy New Year Pam!! Looking at these pics…I caught myself wondering if shells are “seasonal”? Do some species frequent Sanibel waters only in the Winter months? Can you find all species all the time? Omg…what a huge difference from one day tovthe next! Is all those shells from yesterday covered by sand or did the all wash out?? The ground looks so flat so I’m guessing the shells washed out. Do you know Pam? Mike, I would say “no” to seasonal shells at first since I really believe it all has to do with current, wind and weather….. But the coquina is throwing that theory down the tubes. They seem to flourish in late summer into the fall months. In a few more years of photographing and blogging, we’ll see if there are any more obvious “season” shells. Or if the coquina doesn’t flourish the same time next year. Im not sure what the scientists say about seasons (and Id love to know too) but i like to see it for myself as well. It’s fascinating, right? Love that even Pam is amazed by her ever changing hunting ground and especially the “geezy peasey” (sp? )…Happy New Year everyone! When I was down in Oct I got a bunch of Lady In Waiting; love them. Remind me of sea shells the Native Indians painted. Very cool. & I also got lots of coquinas in oct. lots & lots, & so colorful . To all my fellow shellers out there: Happy New Year!! A great idea for a cold morning! It’s amazing how the sea can change what’s on the beach so quickly! When the shelling is good in one area you really have to shell till you drop, because who knows what the beach will look like the next day or even just in a few hours! Mother Ocean keeps us guessing! love the “shello pam” greeting. that shoud be your official greeting or motto pam! !